When talking about pickups, one of the first things that comes to mind is utility. But the 2019 Honda Ridgeline goes far beyond being a tool on four wheels. Impeccably stylish and thoroughly sophisticated, this is a truck that perfectly matches your contemporary lifestyle, making short work of every chore while looking good. Need something that’s equally comfortable at work and play? Look no further than the 2019 Honda Ridgeline for sale in Fontana, CA, only at Rock Honda. Our large Honda Ridgeline inventory sets the Inland Empire on fire with the hottest selection of trims, accessories, and options. 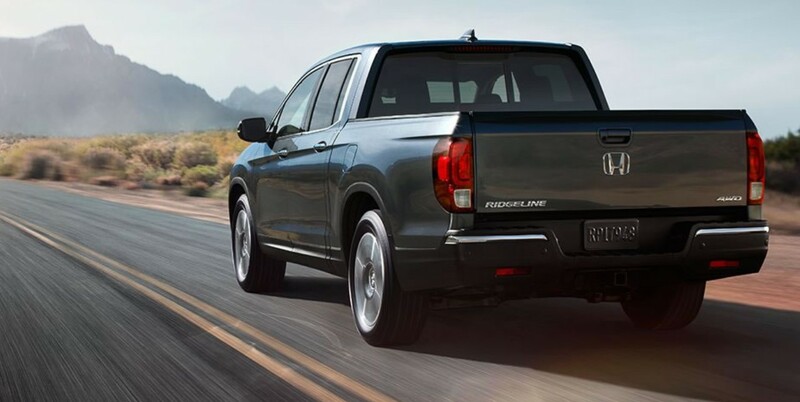 Experience what happens when fun and function come together by scheduling a test drive, and get a load of our amazing in-house offers to get you your very own Ridgeline. An easy drive away from Rancho Cucamonga and San Bernardino, Rock Honda’s professional staff are on hand to meet your Ridgeline needs with impeccable service. There’s more than one way for a pickup to turn heads, and the 2019 Honda Ridgeline nails the look that straddles the line between rugged and refined. It boasts an aerodynamic shape for increased efficiency and reduced wind noise, complemented by sculpted lines on the hood and doors. The prominent Honda badge set against an elegant grille makes for a striking visage, enhanced by the chrome wings extending into the LED projector headlight and daytime running light array. But looking good isn’t the only thing the Ridgeline is capable of, packing a layered bed liner out back that resists dents and scratches even on daily duties. The truck bed itself minimizes the wheel housings to maximize cargo capacity, capable of carrying 4×8 pieces of plywood like no other truck in its class, and there’s a lockable 7.3 cu. ft. In-Bed Trunk® to store wet items away from the main bed. After a hard day’s work, an industry-first Truck Bed Audio System and 150W/400W Truck Bed Outlet instantly turns the Ridgeline into the ultimate party wagon. Climb aboard into the upscale cabin, where comfortable leather-wrapped seating for five awaits, ready to assume a variety of configurations with typical Honda versatility. Stay chill wherever you’re seated with the Tri-Zone Climate Control or feel the breeze with the one-touch power moonroof. Never miss a heart-thumping beat with the available 540-watt Premium Audio System, delivering the tunes through HondaLink® with Apple CarPlay® and Android Auto™ connectivity. The 2019 Honda Ridgeline lets you keep the good times roll. Press the engine start button on the Ridgeline, and the Earth Dreams 3.5-liter SOHC i-VTEC® V6 engine comes to life, placing 280 horsepower and 262 lb-ft of torque at your disposal. A 6-speed automatic transmission channels all that power either in 2WD or the available i-VTM4™ AWD trim, the latter able to tow up to 5,000 lbs. of your weekday haul or your weekend toys. The Ridgeline’s Advanced Compatibility Engineering™ unibody construction sheds 78 pounds of weight while increasing rigidity; coupled with improved noise, vibration, and harshness, this places the Ridgeline among the smoothest and quietest trucks in the mid-size category. Variable Stability Assist™ with Traction Control helps you get a grip when the going gets tough, and an array of front, side and curtain airbags envelop you in safety from impacts. 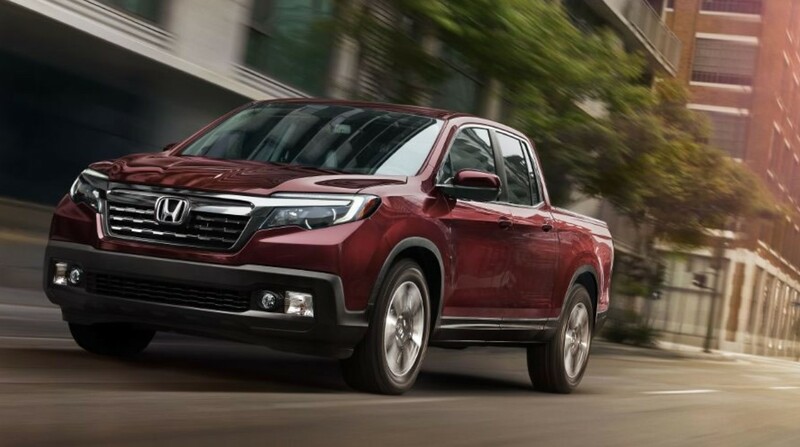 The lifestyle pickup of your dreams is here, with the 2019 Honda Ridgeline. Order yours today at Rock Honda in Fontana, CA.